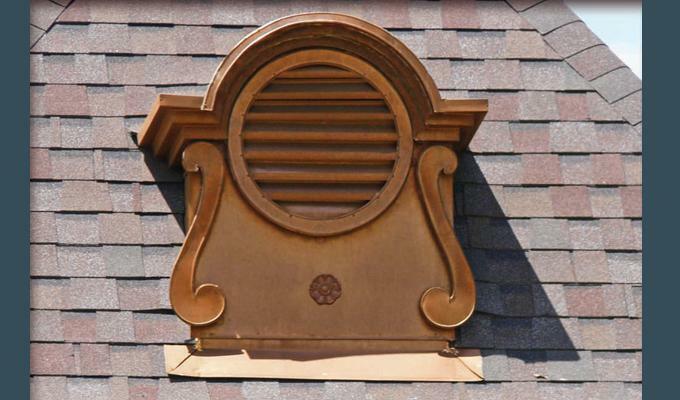 Gracefully designed, this grated dormer combines both beauty and function. Handmade from 16 oz. (24 gauge) copper and offered in a light or dark copper patina.